First Round: 1. Britt Smith and Carson Johnson, 6.3 seconds, $600; 2. Cutter Machado and Cody Stewart, 6.96, $400; Second Round: 1. Kal Fuller and Carson Johnson, 5.34 seconds, $600; 2. Hayden Powell and John Hisel, 6.79, $400; Third Round: 1. Britt Smith and Carson Johnson, 5.85, $600; 2. Jayse Tettenhorst and Kaden Profili, 6.31, $400; Short Round: 1. Britt Smith and Kayden Little, 6.92, $500. Average: 1. 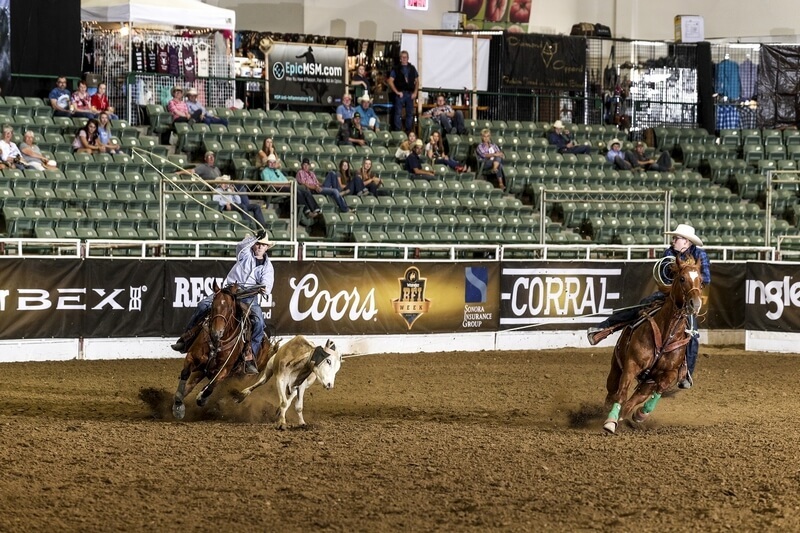 Britt Smith and Carson Johnson, 28.13, $15,000; 2. 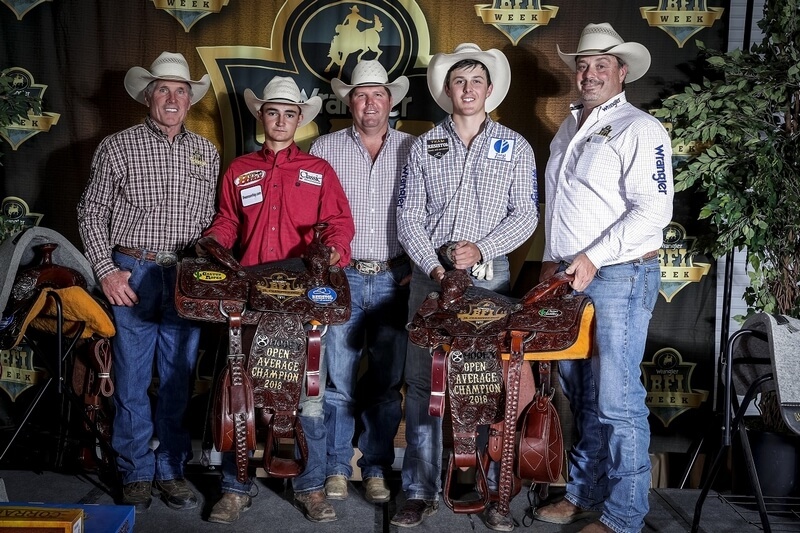 Peyton Walters and Kaden Profili, 31.18, $10,000; 3. Cutter Machado and Jake Bourdet, 31.88, $4,000; 4. Britt Smith and Kayden Little, 32.85, $3,000; 5. Hagen Peterson and Braydin Evans, 33.10, $1,000; 6. Cole Eiguren and Breck Ward, 39.13, $1,000. First Round: 1. Cole Bunting and Cody Stewart, 7.91 seconds, $1,000; 2. Jett Stewart and Cody Stewart, 8.3, $800; Second Round: 1. 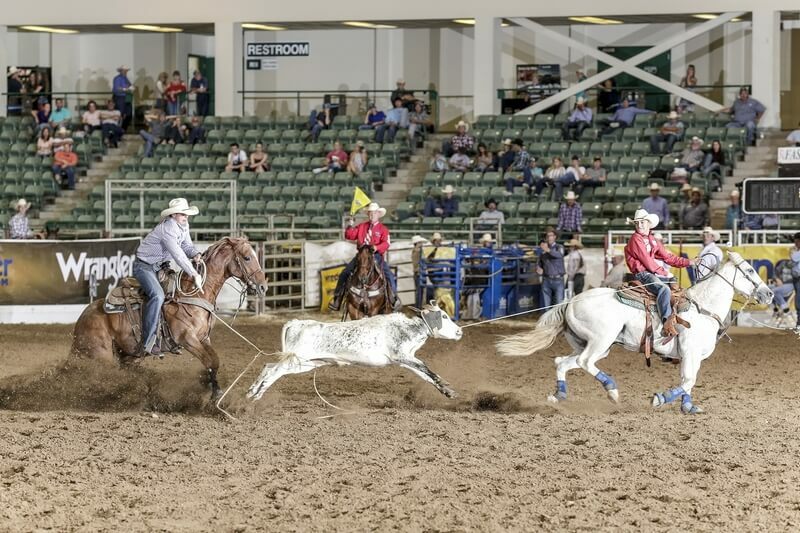 Lilla Bell and Tanner Darst, 6.29 seconds, $1,000; 2. Chase Helton and Clayton Moore, 7.0, $800; Third Round: 1. Cole Bunting and Tanner Darst, 6.47, $1,000; 2. Clay Regner and Manuel Sanchez, 6.68, $800; Short Round: 1. Kaleb Heimburg and Jayse Tettenhorst, 8.0 seconds, $1,000. Average: 1. Jett Stewart and Brayden Schmidt, 33.39 seconds, $15,000; 2. Weston Mills and Arye Espenscheid, 34.49, $10,000; 3. Dillon Ishman and Spud Denmark, 36.27, $5,000; 4. Kaleb Heimburg and Jayse Tettenhorst, 38.55, $3,000; 5. 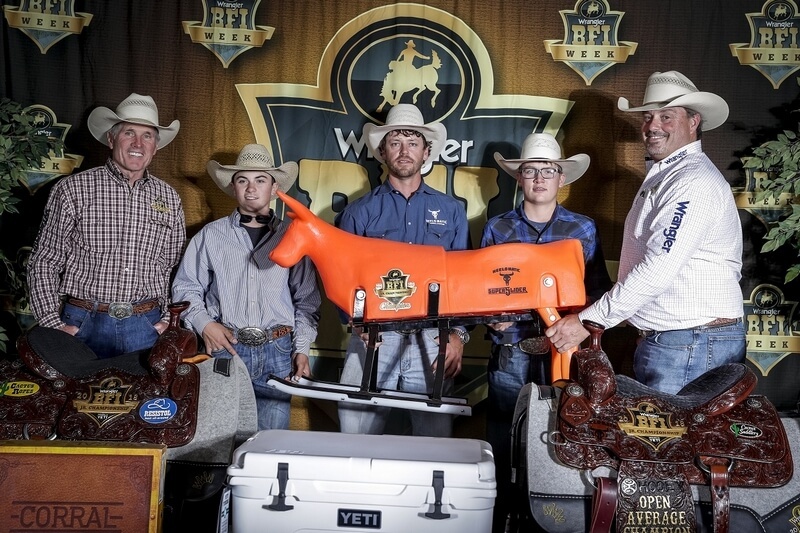 Rance Winters and Zane Pratt, 39.70, $2,000; 6. Trent Lee Wood and John Hisel, 40.00, $1,000.